The first step in Barthes's post-structural analysis of the readerly text involves 'separating, in the manner of a minor earthquake, the blocks of signification of which reading grasps only the smooth surface, imperceptibly soldered by the movement of sentences, the flowing discourse of narration, the "naturalness" of ordinary language' (p. 13). Barthes goes on to call these blocks of signification 'lexias' and admits that 'this cutting up ... will be arbitrary in the extreme; it will imply no methodological responsibility' (Barthes 1974: 13). That is, Barthes does not limit his analysis by adhering to pre-existing units of language or meaning with which to divide the text. On many occasions in his analysis of'Sarrasine', each lexia ends in the middle of a sentence. Nonetheless, the process of cutting up the text is governed by the need to observe the play of meaning on the text's surface: 'it will suffice that the lexia be the best possible space in which we can observe meanings ... all we require is that each lexia should have at most three or four meanings to be enumerated' (pp. 13-14). These meanings are of course the five codes. The second step in Barthes' post-structural analysis of the readerly text is therefore to identify and enumerate the codes at work in each lexia. These two steps can apply to any text, not just written texts. As with readerly literature, the readerly film has a smooth surface which has been soldered together using the techniques of continuity editing, narration, and narrative structure. In cutting the film into fragments (we shall retain Barthes's term 'lexia' for convenience, since the invention of a new term for film is unnecessary and undesirable), we should not limit ourselves by only adhering to pre-existing units of film, such as the shot or the scene. The aim of such an analysis is not to reduce the film to an underlying system, but to 'interpret' it in Barthes's sense of the term: to remain on the film's surface and to unwind its network of braided codes. 'ACT' indicates that this lexia consists of the proairetic code; 'Journey' is the key word (in this instance a noun) indicating the generic action; '1: to depart (for Italy)' indicates the specific nature of that action (and its stage of progress). filled with desire to carve his name between Michelangelo's and M. Bouchardon's. Accordingly, at the beginning, he divided his time between studio tasks and examining the works of art in which Rome abounds. When analysing the proairetic code in a narrative film, identify the main generic action, the specific action being filmed, and the stage of that specific action. It is necessary to number the actions, for some will be articulated throughout the whole film, and numbering will assist in keeping track of them. Observers, people who make it a point to know in what shop you buy your candlesticks, or who ask the amount of your rent when they find your apartment attractive, had noticed, now and then, in the midst of the Countess's [Countess de Lanty's] parties, concerts, balls, and routs, the appearance of a strange personage. Barthes notes: 'Here a new enigma is proposed (a strange feeling) and thematized (a personnage) (HER. Enigma 4: theme and proposal)' (p. 41). When analysing the hermeneutic code in a narrative film, identify the theme, formulation, and proposal of the enigmas; the delays in resolving those enigmas; and finally the disclosure of information that eventually resolves them. As with the proairetic code, it is also important to number the enigmas, for some will be articulated throughout the whole film, and numbering will assist in keeping track of them. The artist [Sarrasine] never wearied of admiring the inimitable grace with which the arms were attached to the torso, the marvelous roundness of the neck, the harmonious line drawn by the eyebrows, the nose, and the perfect oval of the face, the purity of its vivid contours and the effect of the thick, curved lashes which lined her heavy and voluptuous eyelids. Barthes then simply labels this lexia 'SEM. Femininity (heavy curved lashes, voluptuous eyelids)' (p. 113). 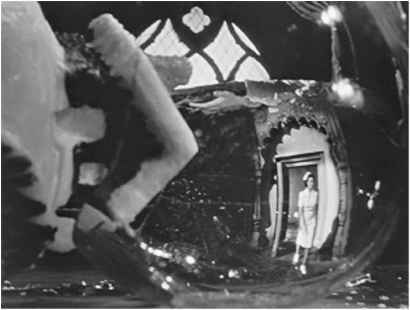 When analysing the semic code in a narrative film, focus on the way in which settings and characters are established, for they are not (cannot be) presented in a neutral manner, but always according to a set of values (sometimes excessively, as in the case of La Zambinella). These values are the semes, which need to be indicated in one word (e.g. 'femininity' in the above example). Thus, on my right, the dark and silent image of death; on my left, the seemly bacchanalias of life: here, cold nature, dull, in mourning; there, human beings enjoying themselves. Barthes labels this lexia (number 12) 'SYM. Antithesis: AB: résumé' (p. 26). In previous lexias, the two terms of lexia 12, the outside (A) and the inside (B), were presented separately, with the narrator as mediator. In this lexia, they are presented together in summary form (hence Barthes's use of the term 'résumé'). Another more complex category of organization is the opposition between male and female. (Whereas 'femininity' or 'the female' by itself constitutes a seme, when placed in relation to 'masculinity' or 'the male' it constitutes an organizing principle, and becomes a symbolic code.) The description of La Zambinella quoted above imitates the patriarchal way of organizing sexual difference, in which women are set up as objects of the male gaze - a gaze based on voyeurism and fetishism (which are two structures in the male psyche that defend it against female sexuality). In the above example, Sarrasine's gaze fragments La Zambinella's body, and he evidently gains sexual pleasure simply by looking at La Zambinella (see lexias 241-5, pp. 117-18). When analysing the symbolic code in a narrative film, abstract from it the most important basic categories of experience it employs. This will require skilled attention to the way the film's themes and symbols are structured and unified. This in turn is based on an ability to identify and isolate significant elements in the text, and to assign them a general function. To analyse the symbolic code is similar to developing a thematic reading of a film (see Chapter 4 above), since we need to make explicit and clarify the film's implicit meanings. • The referential code (REF) is the most straightforward to identify, for one simply needs to note the type of knowledge the film is referring to. '[Referential/cultural codes] are references to a science or a body of knowledge; in drawing attention to them, we merely indicate the type of knowledge (physical, physiological, medical, psychological, literary, historical, etc.) referred to, without going so far as to construct (or reconstruct) the whole culture they express' (p. 20). Hence, Sarrasine's journey to Italy is completed in lexia 200 (quoted above), in which Michelangelo's name is mentioned, as well as that of Rome, as an artistic centre of the world. These are referential codes, and Barthes labels lexia 200 (in addition to the proairetic code) 'REF. History of Art' (p. 105).